You’ve come this far, and now it’s time for the conclusion. Bill and Lucy are trapped, buried alive beneath the floorboards of the haunted Stender house in Ridgeview, and something is coming for them, dragging its behemoth body through the house in search of its meal. Bill has been shot, and is bleeding to death. Lucy babbles inanely beside him, spouting conspiracy theories and wild non sequiturs. Is there a method to her madness? Will Bill be able to overcome the terror and utter exhaustion and escape before the demon finds them? For the final chapter (Chapter Nine: The Dream) you can download the entire eBook from Amazon for only 99 cents. 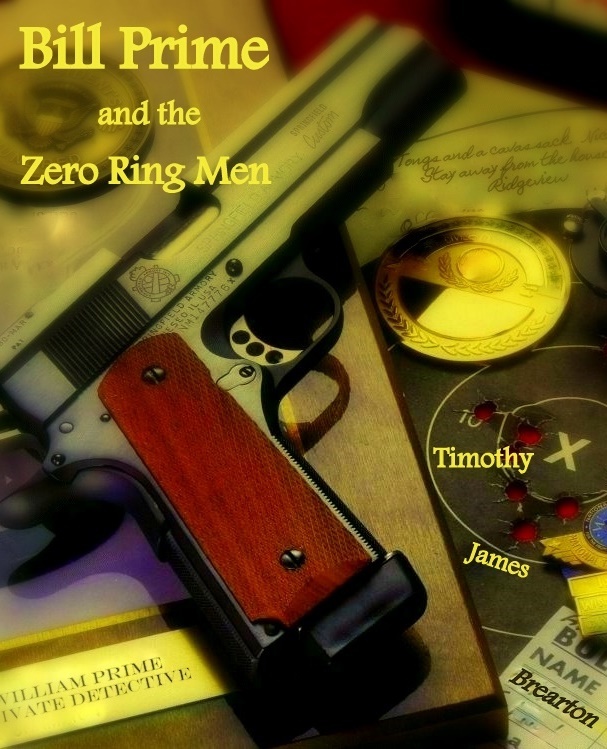 Just click here for Bill Prime and the Zero Ring Men for kindle. Or, you can simply download a PDF from lulu for the same price. To get the book as a PDF on lulu, click here. This entry was posted in books, stories. Bookmark the permalink.